Defence Adda is providing you all with this quiz on Mathematics questions for NDA, and other Defence Examinations. The questions asked in Mathematics Section of most of the defence examinations are based on the topics from Mathematics of Class 11th and 12th. The questions asked in this section are complex and comparatively difficult but once attempted with high accuracy, can fetch you full marks in this section. Also, practice on a daily basis helps one dive into the core concepts of a subject and thus, help her perform to the best of her ability in the real examinations. 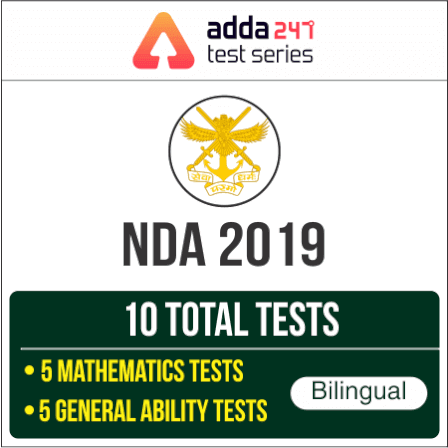 So, attempt the daily quizzes being provided by Defence Adda and score to the maximum in Mathematics Section of all sorts of defence examinations. Aiming for Defence Recruitment 2019?